*** PC World's 10 iPhone Games You CANT Live Without! *** #8: GeoDefense!!! 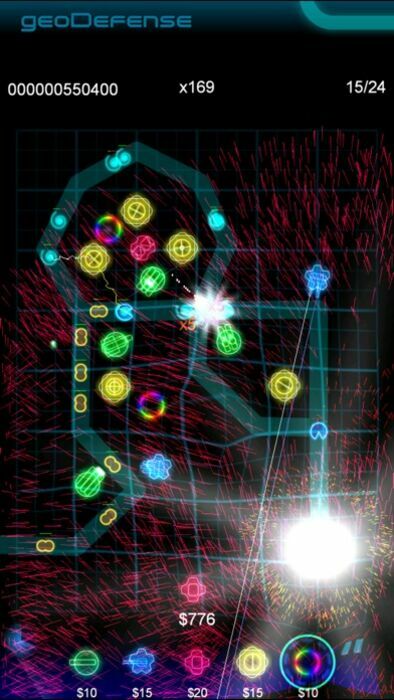 "If you fancy yourself a tower defense guru, and you don't own geoDefense yet, shame on you. geoDefense is a well presented, well designed game that ranks up there with the best TD titles on the platform. Score: 8.2 Impressive." 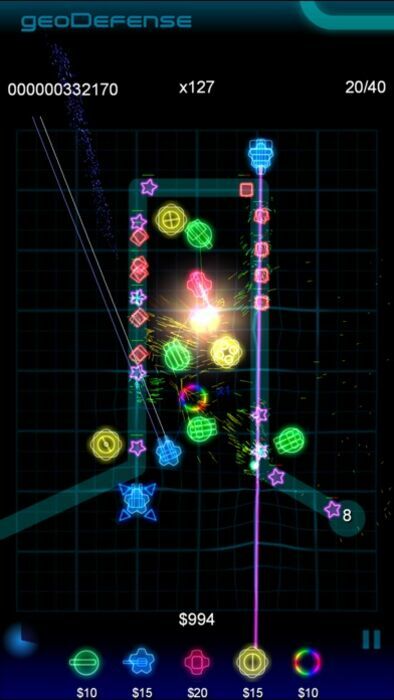 "geoDefense's vector-style graphics, pixel bursts, and warp effects more than set it apart from the crowd. 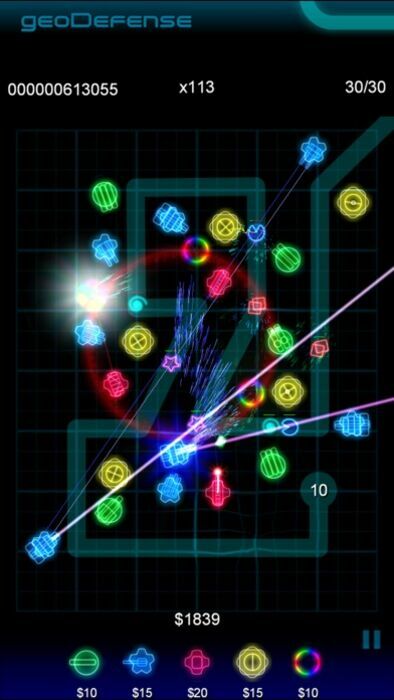 geoDefense is easily recommendable for tower defense enthusiasts." "It's bright, it's colorful, and you might have seizures while playing it but it's fun as hell!" "If you're a fan of the tower defense genre or strategy games in general, this one is well worth your time, especially for the super-cheap price tag! Score: 8 out of 10 -- Download it!" 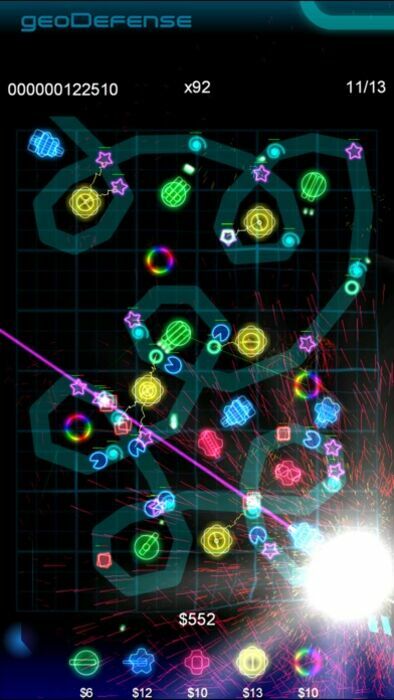 "Until geoDefense, I thought tower defense games were boring. Not this one. I love this game, and I went into it expecting to hate it. That means it's good. Score: 4.5 out of 5." Something exciting and new in the Defense genre! The geometric vector creeps are fast and intense. 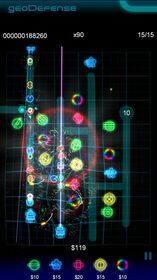 With 30 different maps, each its own puzzle, you'll have to work fast to keep up. geoDefense is now compatible with iOS 8! Plus, now works with all different iPhone screen resolutions! OpenFeint has been removed, since it no longer is a thing, and in it's place, we've added GameCenter for Leaderboards. Same great, award-winning game play now on every iPhone shape and size!